Featuring the very latest Wilson Benesch Drive Technology, the Endeavour is capable of delivering wide bandwidth sound from 38Hz to 30kHz. A dedicated Tactic II midrange drive unit sits inside the Carbon Nanotech Enclosure, with a clamshell formation Tactic II Isobaric System taking care of the lightning-fast bass to create a perfectly integrated low-mid range response. At the centre, the Semisphere Silk-Carbon Hybrid dome Tweeter delivers a perfectly tonally balanced and natural sounding high frequency band. Through expert design and craftsmanship, advanced materials technology has been combined with geometry in every component to created a stand mount loudspeaker design with no compromise. The Endeavour faithfully reproduces the musical ensemble, as though the performers were there in the room before you. Since its foundation, Wilson Benesch has invested heavily in ambitious research and development projects in the fields of materials science and manufacturing. 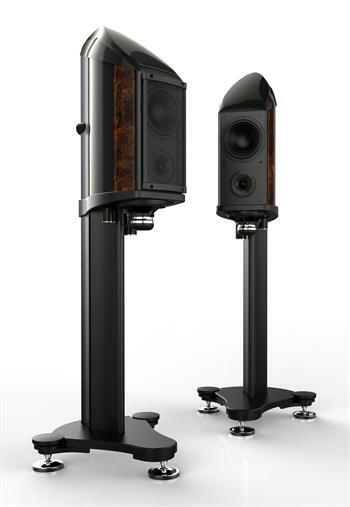 The Endeavour exploits more than two-decades of work, to incorporate a multitude of cutting edge Wilson Benesch technologies. From the very latest technology, the Carbon-Nanotech Enclosure, to the Isobaric Drive System, the A.C.T. Monocoque and a number of highly engineered, geometrically optimised carbon fibre and alloy components, the Endeavour is a masterpiece of engineering. "The Endeavour turns accepted notions of the established audio swings and roundabouts on their head, surprising and delighting in equal measure. But most of all it succeeds in achieving that quality shared by all really great loudspeakers – the ability to put the music first."